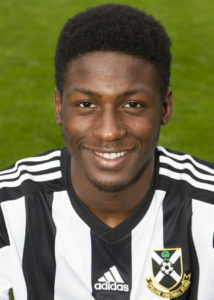 Senegalese defender/midfielder Mohamed, more commonly known as ‘Sena’, regarded as a potential sweeper as he develops, was briefly on the books of Rangers after leaving the Jimmy Johnstone Soccer Academy and initially joined Lok on a dual contract basis from the Pollok United Soccer Academy, and after a few months away from the club, he returned as a Pollok player in January 2018. It was announced in April 2018 that Sena had signed up again for the 2018-19 season. However, following the resolution of a long-running work permit decision, he was able to conclude a transfer to Partick Thistle in September 2018, a full year after he first donned the Jags’ colours as a trialist.